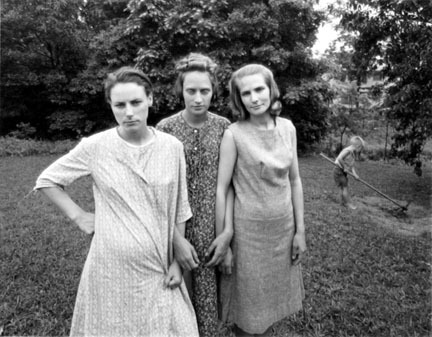 Emmet Gowin’s first body of photographic work centers on his family and their home in Virginia. In the 1960s Gowin studied with Harry Callahan at the Rhode Island School of Design, and like Callahan, who photographed his wife Eleanor, Gowin found inspiration in his own wife, Edith. 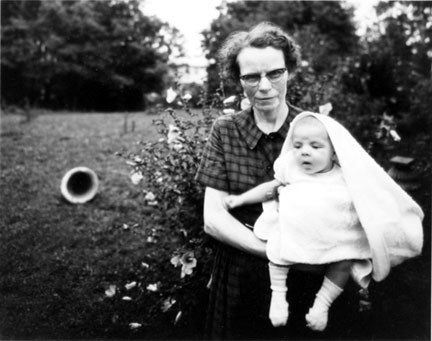 Photographing her regularly during the course of their daily life, Gowin made pictures of Edith that are an outgrowth (and a partial record) of their ongoing interactions. In this respect Gowin diverges from his former teacher, whose emphasis was more on formal aspects and abstraction. 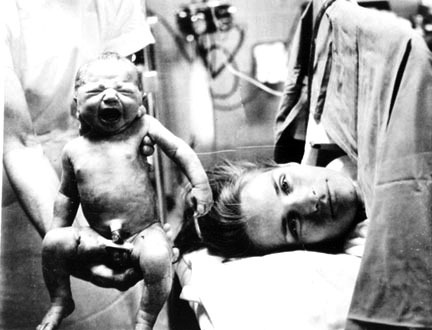 Yet while Gowin's wife is frequently the subject of his photographs, his scope is simultanesouly more expansive; in a number of photographs he includes his sons and other relatives, tracing a broader view of family life, as he gradually conveys a sense of place through his subject's relations with their immediate environment. 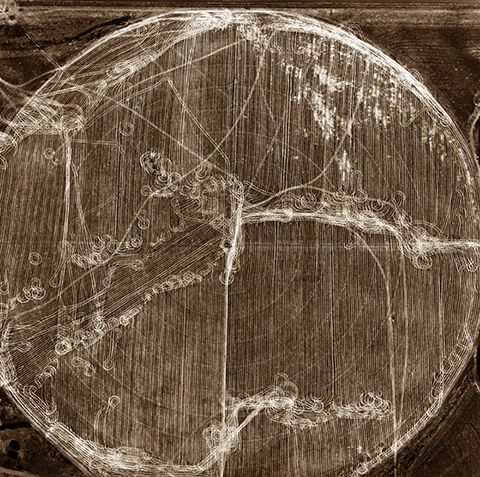 Gowin's interest in the landscape as a subject in itself grew over time and in the 1980s he began to make aerial photographs. Shifting from the intimacy of his earlier work, he adopted a distant viewpoint that balances between descriptive and abstract qualities. The different landscapes he depicts from above are all marked by human activity, to varying degrees, and range from agricultural fields to nuclear sites and industrial facilities. 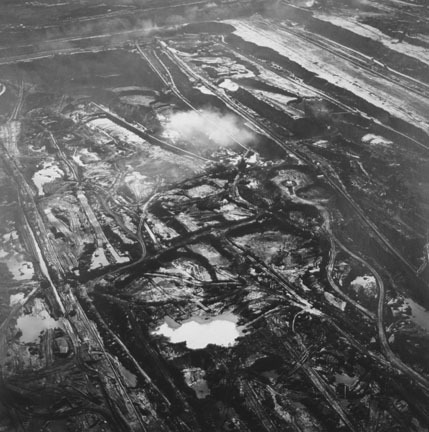 In 1992 Gowin made his first trip to the Czech Republic to observe the massive mining operations there, at the suggestion of Czech photographer Josef Koudelka. 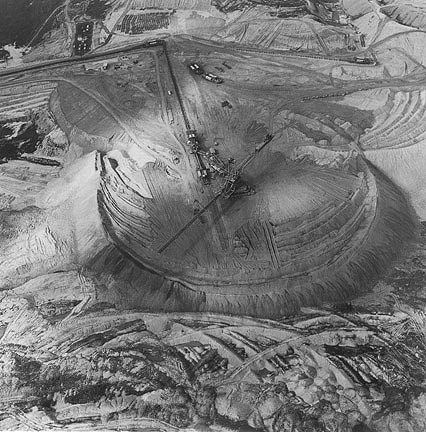 The area surrounding the strip mines is known as the "Black Triangle," since millions of acres of land have been damaged by acid rain--essentially sacrificed for the sake of energy production. Like many of Gowin's aerial photographs, these pictures convey a tension between visual beauty and devastation, which Gowin sees as coexisting in the world and drawing our fascination in equal measure. His images are not intended to provide a clear message or a call to action, per se. Instead, as Gowin puts it, "The picture is like a prayer, an offering, and hopefully an opening through which to seek what we don't know, or already know and should take seriously." He continues, "All important pictures embody something that we do not yet understand. In the process we collect a few random yet vivid facts that we didn't know before." Born in Virginia in 1941, Gowin earned a BA in graphic design from Richmond Professional Institute (Virginia Commonwealth University) in 1965 and an MFA in photography at the Rhode Island School of Design in 1967. In 1990 GowinÕs work was presented in a major retrospective organized by The Philadelphia Museum of Art which traveled to The Columbus Museum of Art, Ohio; The Detroit Institute of Arts; the Ansel Adams Center for Photography, San Francisco; the Los Angeles County Museum of Art; the Minneapolis Institute of Arts; and the Museum of Contemporary Art, Chicago.